The Andrews Homestead is open to the public on Sundays from 11-3 during the months of May and October! 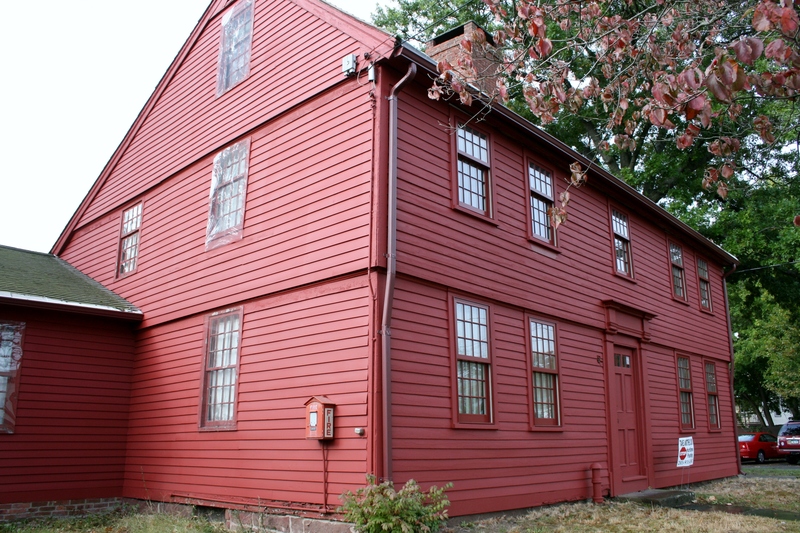 The Moses Andrews Homestead, one of the oldest houses in Meriden, was built about 1760 by Samuel Andrews III, and was later inherited by his son Moses. The house (a traditional New England salt-box) and the property on which it stands had remained in the Andrews family until 1864. St. Andrews Episcopal Church had its beginning in the homestead during the Revolutionary War. Moses, being a Tory and an Episcopal, was bound by its laws to pray for King George III and since this was not favorable with his neighbors and by the state law which forbade him from attending the Episcopal Church in Wallingford, Moses began church services in his home. The parlor was set up with wooden benches for worshipers, but when the situation became critical during the war, services were held secretly in the basement. In the years following the war through 1810, services continued here, with Moses acting as Lay Reader. After Moses death in 1811 the house was willed, one half to his wife Lucy and one half to his daughter and son. There was a north-south dividing line, with both sides having common use of the great fireplace and Dutch ovens, the only means of cooking and warming. After the passing of these heirs, the house passed through in-laws until 1864. After this period the house went through many changes and periods of neglect, decay and rescue; it was used as a school, rented as apartments, and as a day care center during and after World War II. The first rescue came in 1933 when it was restored as a Federal Project under the W.P.A. to serve as a school and colonial museum. The school board then relinquished its control of the property and there were no provisions made for the maintenance of the museum. 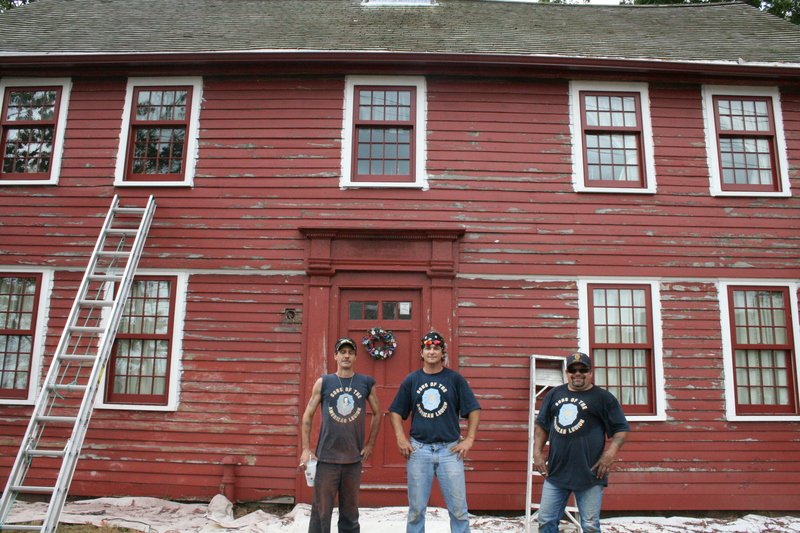 The second rescue came in 1940 when a group of interested citizens formed the Andrews Homestead Committee to consider means of raising funds to maintain the historic house. Funds were raised and during the following year it was repaired, re-decorated, and furnished with collections of antiques. 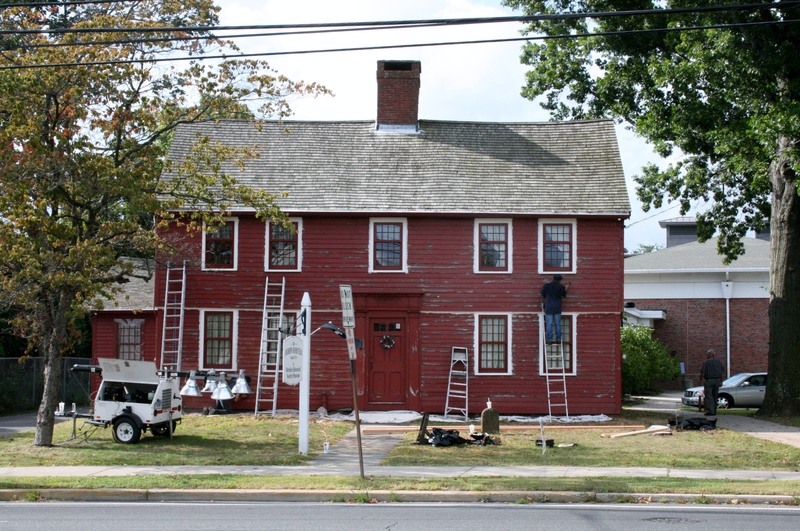 The Committee was elected to membership in the Meriden Historical Society and as a result, the society gained custodianship of the building. In 1954 major restoration came under the direction of the Historical Society with monies coming from the Cuno Foundation. 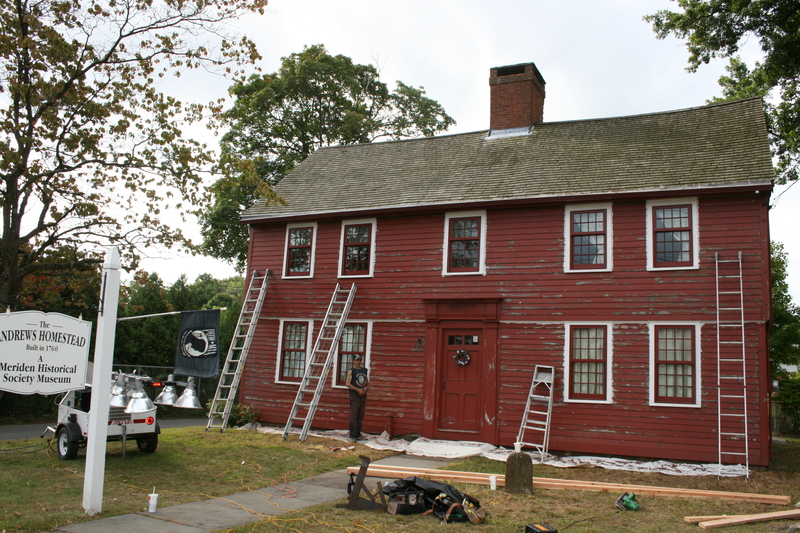 As custodian of the building the society continues the upkeep of the interior of the building, while the City of Meriden owns the land and maintains the exterior. Visitors to the homestead will see early construction details. The great fireplace with its deep Dutch ovens in the keeping room, the paneling surrounding the three remaining fireplaces, the huge exposed field stone chimney wall in the entrance hall, the hiding closet, as well as the wide floor boards, hardware, etc., are all original. The furnishings are donations from local families. Meriden’s Industrial past comes to life in the many display cases containing numerous products made here, and now collected allover the world. A large doll and toy collection fills cases in an upstairs nursery.